What is a Niche? & How to Find Your Niche! - Brigitte Belsky ~Helping You Create Your Laptop Lifestyle! Confused about Niches? You’re not the only one. So here we will explain ‘What is a Niche’ and ‘How to Find Your Niche’. So one minute I’m reading and they are referring to people and the next they are referring to a subset of an industry! Be it in different articles or within the same one. So what is it? People or Industry? The dictionary definition, apart from it being a shallow wall recess, in business is a specialized segment of the market for a particular kind of product or service. The simplest explanation is it’s an AUDIENCE. The people who look for the same specific things. Oh! Ok so a ‘Niche’ refers to both People & Industry. So who we are & whatever we specifically look for is a ‘Niche’. Another way to understand ‘Niche’ is that it is ‘a subset of a broader category’. Everything we buy or do is an industry niche. As individuals we interact with many niches such as getting our computer fixed, buying a car, the clothes we wear, learning to paint, playing tennis, collecting figurines, being a Star Wars fan, and so on… these are all industry niches. Wherever you are right now just look around you – everything you see is an industry niche. 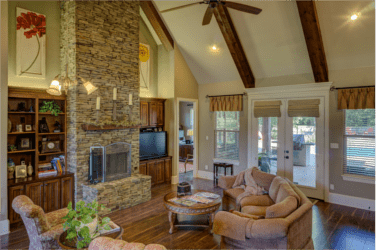 The living room picture inspires 100’s of niches. For other ideas on industry niches just go to any big store like amazon, ebay, udemy, … Take a look at their categories and sub categories – these are all industry niches. People niches are simply a defined segment of the population who are likely buyers of the industry niche. These niches can be drilled down to whatever level is required to define the complete ‘Niche’ for a business. 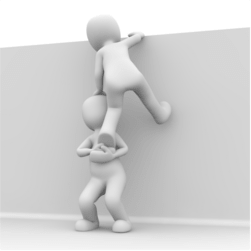 Put them together & that is ‘Your Niche’! So why would we need to define both – Industry & People? In the simplest terms it’s to have a razor sharp focus of what our business is about and who it will serve. It enables efficiency in time and effort. It helps with knowing how to attract our customers. This part is called ‘Niche Marketing’. ‘Niche Marketing’ is also known as micro marketing, meaning that all marketing is concentrated on a small but well defined segment of the population. 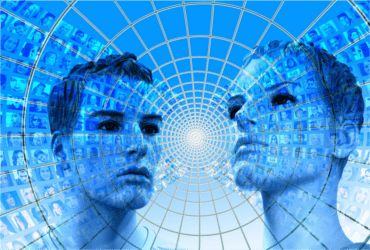 It is said that ‘Niches’ don’t exist but are created by identifying you’re ideal customer. Who are they (age, location, financial status, etc…)? What is it that they want, need, frustrated with? Where do they hangout? How can you satisfy them? Both ‘Niche’ & ‘Niche Marketing’ as a strategy is about being a Big Fish in a Small Pond rather than being a Small Fish in a Big Pond. The more you can drill into the ‘Niche’ is a great strategy for quicker success, especially for the new online business. Why? Because as a new online business you’ll be more focused, thus saving time and effort. Competing against the ‘big boys’ as it were or being that Small Fish in a Big Pond will more than likely take a very long time to get noticed and create a loyal following that will result in business. Now that we have a clearer understanding, how do we go about finding our ‘Niche’? The ‘Finding Your Niche’ section will walk you through just that. 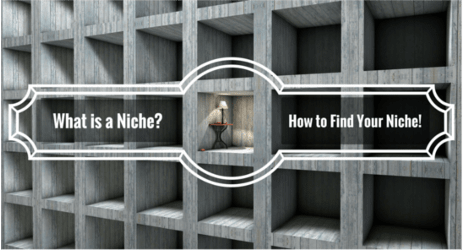 Finding ‘Your Niche’ can feel overwhelming but it really is simple so don’t worry as this post will walk you through. First thing to remember is success can be had within any niche, there is no perfect niche & no niche is over saturated, so don’t over-think it. One person’s perfect niche is not necessarily the next person’s perfect niche. I for one would not pick say ‘angling’ as I have no interest or knowledge in the subject, yet hundreds thrive with that as their niche. Secondly, picking a Niche which down the road you feel is not really the right fit for you is not the end. Adjustments can be made and/or a new niche can be picked. Thirdly, choose a niche that you know you can create informative content on. This can be through your own knowledge and experiences and/or research. Fourthly, choosing a niche simply based on whether you think it is a big money maker is not a good idea. What are you interested & passionate about? What could you talk about or do endlessly, lose time with? What would you enjoy researching more, extend your knowledge? What are some of the last searches you did in your internet browser? What have you helped people with? What are your favourite forums/groups? What frustrates you that you have thought of how to solve it (at home or at work)? 2. Is your ‘Niche’ too broad? 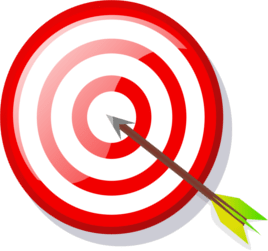 Keeping your niche more targeted will help you be more productive. This in turn will be more engaging and interesting for your visitors. If it’s too broad, then you could easily become overwhelmed due to the vastness of options, lose your way and your visitors interest. Say you decided you wanted to help people have fun with crafts. Crafts is a very broad niche. There are paper crafts, wool crafts, pottery crafts, wood crafts, needlework crafts, and so on… Out of these options paper crafts gets you most excited. Within paper crafts you still have a multitude of sub niches, such as making decorations / home items, origami, card making, scrapbooking, and so on… All these can be profitable businesses in their own right as they have several angles/products associated with them and attract specific audiences. One way to monetise your niche is with Affiliate Marketing. To find out more see my post ‘What is Affiliate Marketing?’ here . It will take you through how this is done and how to find what affiliate programmes are available to support ‘Your Niche’. Your aim is to be the ‘Big Fish in the Small Pond’. This is done by focusing on a specific sub niche and be seen as the go-to authority in it. Have any questions or suggestions? Feel free to add them below and chime in any discussion. The way ‘niche’ is banded about is confusing. So thank you I have a much better understanding of the term ‘Niche’ now.